I am a Christian, Wife, Mother and Grand Mother. Been married for 33 years to a very dear and supportive husband. I am living in Switzerland but are originally from South Africa. 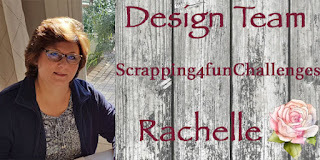 I work from home by selling scrapbooking supplies. 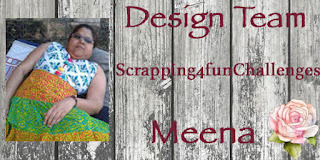 My passion is scrapbooking and card making and Mixed Media journals. I have a few interests like - photography, reading, jewelry making and mosaic. As far back as I can remember I have always been involved in crafts. Scrapbooking has become a passion of mine over the last couple of years. I love the whole idea of scrapbooking our life story for my kids to carry with them for the rest of their lives. 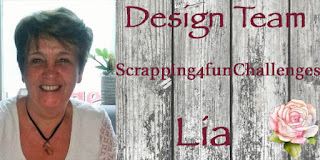 This blog is for those who love to scrap and like to have peeks at other peoples work. It is also to show my friends and family far away what we have been up to. I am a animal lover especially dogs (pugs). I am happy, I am blessed, the Lord Jesus has been very good to me and my family and I believe He has blessed me with a special talent to communicate with others and to share information about this great hobby we all so much enjoy. I am glad you stopped by and hope you will visit again! I am proud of this!! 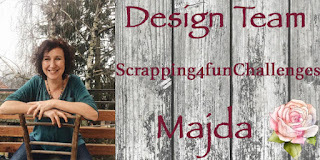 I’m Majda – a card maker, a wife, a mom, a teacher, a puppy lover and a friend. I live in the small but beautiful country Slovenia. I have been passionate about arts and crafts my hole life. I did not discover cardmaking until late 2015, but I have been crafting every single day since and love every moment of it. I have made so many lovely crafty friends along the way. It has been an amazing journey and I would be very happy to get the opportunity of sharing my passion with you. So here I am, addicted to making cards, always inspired to try new techniques and styles of cards. My stile? I am always curious about working with different materials and like experimenting with new techniques. 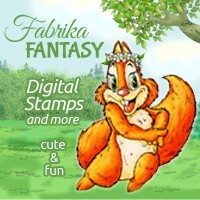 I love a challenge and cute stamps! 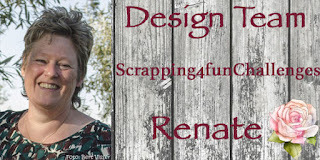 My name is Renate, fifty years old , married and mother of a daughter and a son. I have been making cards for many years. First 3d, now only scrap cards. I also make mini albums since a year. From kraft and / or envelopes. I also like to read and crochet. With my husband and friends I like to go to the theater in Kampen. I work part-time in healthcare. In a nursing home, small-scale living, with elderly people with dementia. It is beautiful and grateful work. Also I like to make time for relaxation. And then making cards. 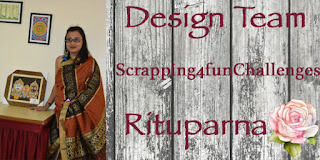 I am Rituparna,from a city with historical importance,Berhampore,West Benga,Indial.This city is famous for Ivory work,Brass work,Murshidabad Silk work,Sholawood work accross the world.I am from rich cultural family background,my mother and sister is from classical music background.I am so passionate about art and craft from childhood and without any guidance did sketches,craft works from stash,even in my sister's wedding i was made a bride groom pictures from waste stuffs....actually all inspirations got from my father.After completion my Masters in Political Science i was doing job but always it haunted me is it perfect for me or not.After last 14thyears i am learning so many craft forms from various known crafters,completed diploma in Art & Craft course,completed diploma courses of Mural from Holy Child School of Fine Arts,Mumbai and now i am housewife of Civil engineer and a proud mother of 19th months daughter,lives at Faridabad,Haryana,India.They are my Backbone and after marriage my husband has supported and encouraged me always,my father in law writing a book and practice with music,they are going a NGo which has helps for women empowerment.I used to get inspiration from them and now i besides my homemaking i used to do my craft work,emprovise my creations and still i am learning.I have small opening of this craft world but it always satisfied me,makes me happy to live my dream....i am doing some musical memento on my sister's musical programme 3years back,recently i have won on National art exhibition which was held at Mumbai and exhibited my work at Delhi,India.Very recent my work exhibited on International art exhibition at Goa,India.Its my dream oneday will establish my own Craft Boutique and teach free of cost the poor but interested crafters to make their dream in to a practise one and forward to my dream a sky level. Thanks to everyone who always supported direct or indirect me and gives me strength for doing more hard work.